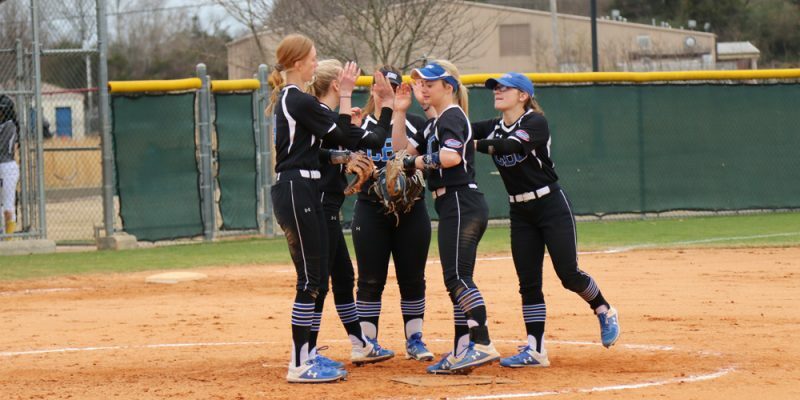 The Lady Mustangs softball team won two games against Ecclesia College in Springdale, Ark. on April 2, with scores of 10-0 and 13-0, bringing CBC’s softball record to 26-11. Sophomore Shayla Irving and freshman Allie St. John scored a combined total of five home runs during the course of the two games. Junior Rachael Jones, an outfielder for the team, said that the team tries to play every game with the intention of perfecting every aspect of the sport and focusing on all of the details that makes a team successful on the field. “Every time we are put into game situations, it gives us an opportunity to achieve our team goal,” said Rachael Jones. Several members of the team have spoken about phrases the coach says, and Jordon Jones, head women’s softball coach, has spoken about what the team has come to say throughout the year. Rachael Jones mentioned how Jordon Jones talked about having optimal focus, which she describes as the zone between putting too much pressure on oneself and being too distracted. Rachael Jones said that the team struggled with this and expressed how they were trying to improve. The two most recent games that the team played were both losses, which put the team’s overall record at 28-13 and the conference record at 17-3. Jordon Jones talked about a special event that the softball team is having at the game on April 19, called “Pack the Hill.” The first fifty attendees to arrive will get free t-shirts. Jordon Jones encourages everyone to come support the Lady Mustangs softball team.